Last year I read Marie Kondo’s Book The Life-Changing Magic of Tidying Up and enjoyed many aspects of it. I definitely like the attitude of only keeping things that “spark joy” except that sometimes you need to keep things for more practical reasons. 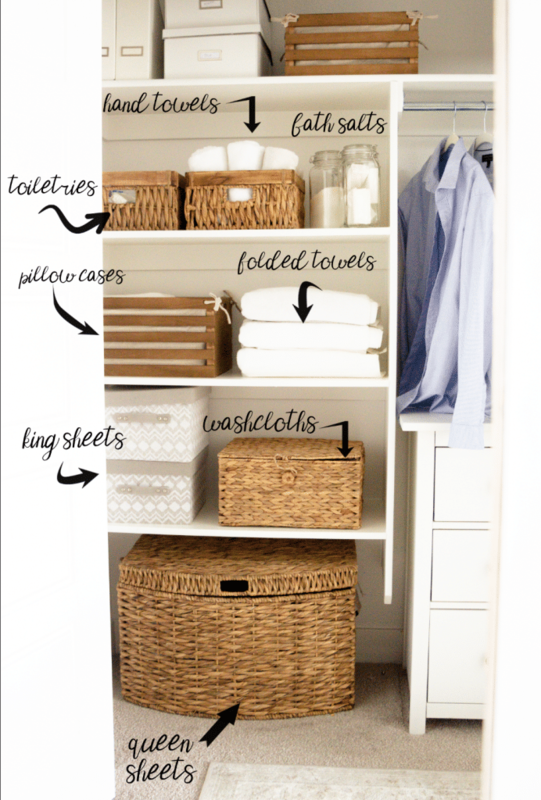 This month’s organizing challenge was my linen closet. 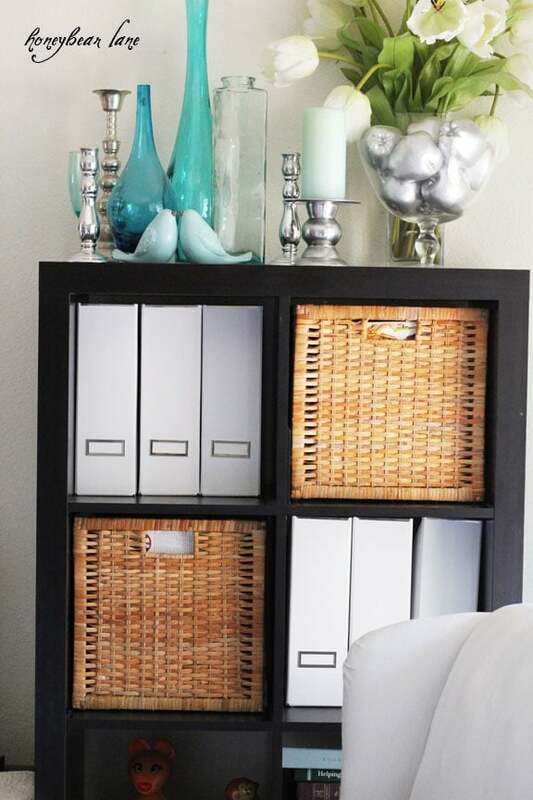 Whenever I tackle organizing projects, the first thing I do is to just clear it all out. You have to just see what you have. As I clean it out, I put things in piles to sort: 1) Keep 2) Throw Away 3) Donate and 4) Sell. Although I haven’t really been selling things lately because I don’t want to bother so you could consider an alternate 4th category–Relocate. Be warned, there will be a ginormous mess on the floor as everything comes out. It looks horrible! And the sad part is that I really didn’t even think it was that bad. But when it came down to changing linens, it would take me forever to figure out what size of sheets was what, where my pillowcases were, if towels were actually good towels or needed to be rags, etc. And I needed to seriously pare my items down. 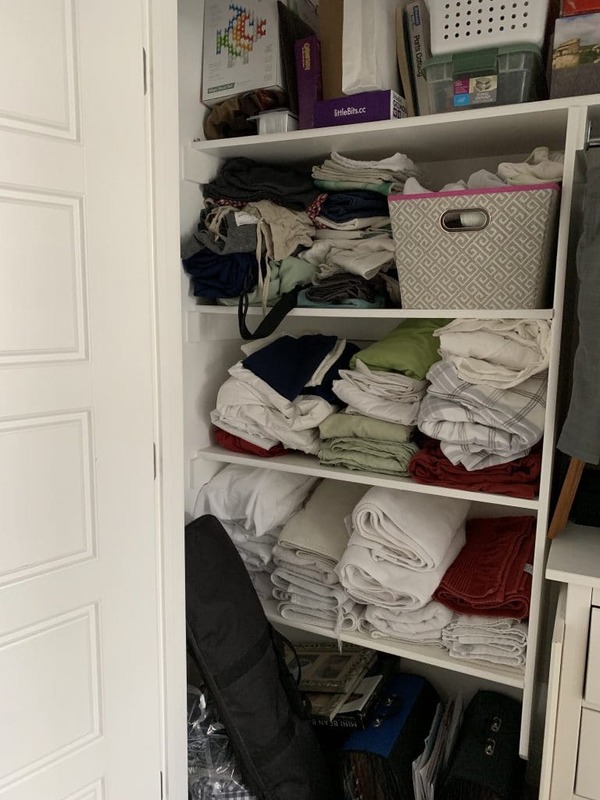 I wanted to complain that for all the wonderful things about my house, it doesn’t have a linen closet! My master suite has a large walk-in closet and across from is a smaller closet with doors. This closet has a few shelves and I feel lucky we even got those because I’ve talked to friends with the same floor plan and they just have a hanging bar across the entire closet. Anyway, we have had to make this small space work as our linen closet. My plan is to build more shelves across the entire closet but for now I had to just get rid of a bunch of stuff to make this space usable. What an enormous difference! 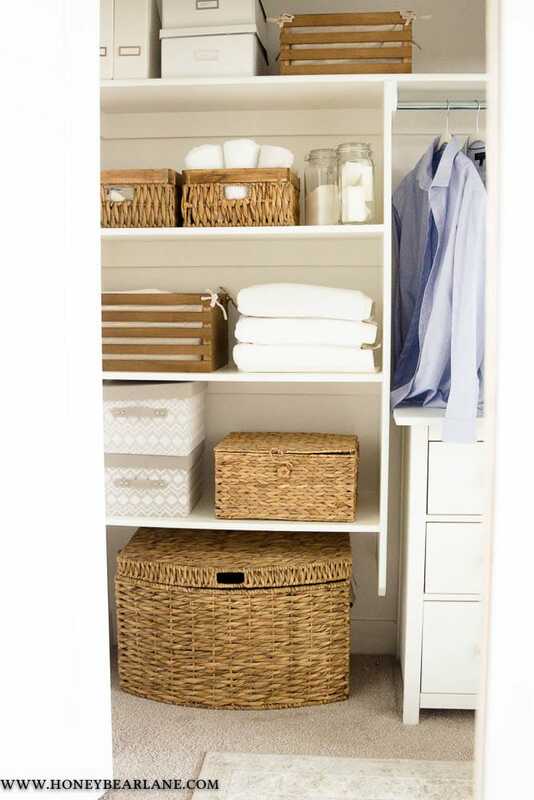 To organize this space, I went to Home Goods and got a bunch of baskets and storage bins. I thought about the types of things I wanted to store in them when I was buying. I also measured the space I had available so the items I bought would fit well. I did have to take a couple things back and get one more large basket, the one sitting on the floor. I put all my queen size sheets in the basket trunk. I have four sets of king size sheets (which is probably too many also) for my bed and I stored them in the gray lidded boxes. I put all the baby washcloths and towels in the lidded basket since we bathe our littles in our bathroom. I stored all my pillow cases (included decorative pillow cases) in the largest crate. 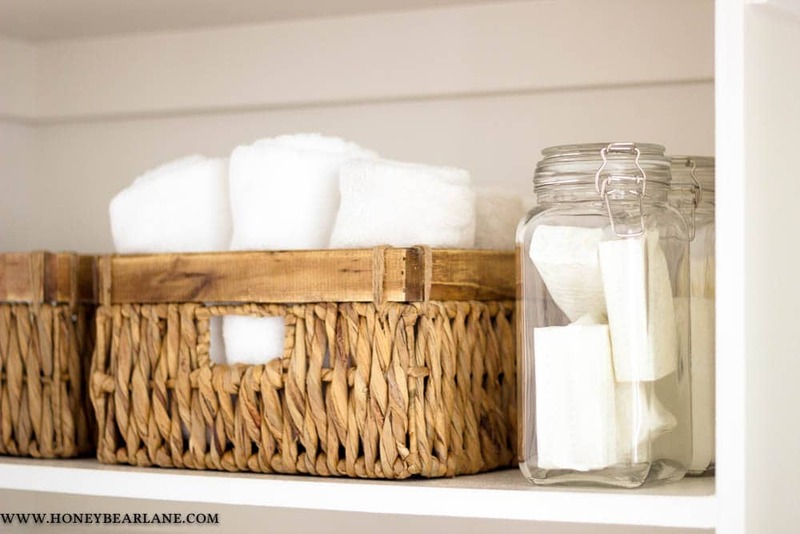 In the two smaller baskets on the top shelf I put extra toiletries and hand towels. Finally I found these clip-tight jars at Hobby Lobby for soaps and bath salts. I love how it’s all organized! It makes it so easy to see everything and best of all, it’s so beautiful to look at. 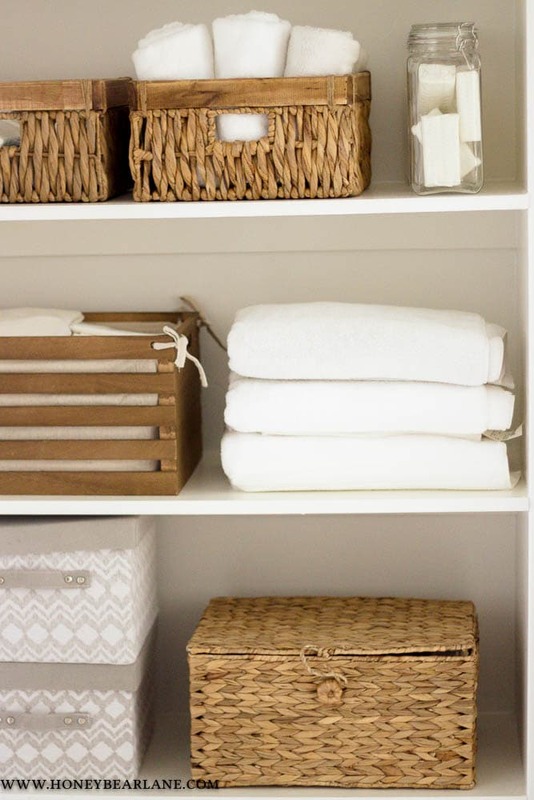 It might seem a little pointless to waste all the pretty baskets on something as mundane as a linen closet but if you can make something pretty, why wouldn’t you? This could only be done with a closet as large as yours. Mine if very narrow, and if I started putting baskets etc. in it, I wouldn’t have room for everything.